Trampolines, as we all know, can help ‘couch ridden people’ stay healthy and in shape to keep these problems at bay. But one of the major apprehensions before investing in trampolines can be issues related space. However, designers have now provided an alternative to the traditional above ground trampolines, which are in-ground trampolines. An in-ground trampoline provides all the benefits as the traditional ones do without taking up much space in one’s backyard. Basically, the frames are buried under the surface in a hole. One of the major advantages is that it reduces the risk of small children having any accidents by falling. Complimentary heavy-duty steel parts are usually provided with in-ground trampolines. These parts are much sturdier as compared to its traditional counterparts. Most people think sunken trampolines are much safer as compared to the traditional ones. This, however, is a misconception. The absence of safety nets across all trampolines has an associated risk of falling. 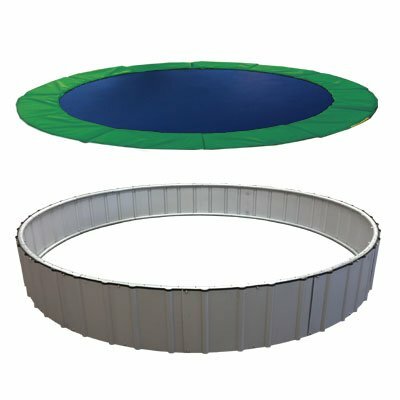 In-ground trampolines require a surrounding hole which must be bigger than the trampoline itself. This is important since a hole facilitate ventilation. However, a hole provides an added risk of hands or legs getting caught in case the jumper falls into it thereby falling prey to critical injuries. Click here to read more about safety. As compared to the traditional above ground trampolines, buried trampolines may be a little harder on the pockets! If one is concerned about maintaining the appeal of their backyards then one should consider purchasing an in-ground trampoline. Also, if the potential buyers are living in highly windy areas then an investment in the same would be ideal in order to prevent any damages. However, if one still doesn’t want to invest in those expensive in-ground trampolines, then one can also design one at home. One can purchase materials for the retaining wall and choose the DIY route. But ultimately, an in-ground trampoline is going to cost more than it’s above ground counterpart. The only complicated part of installing a sunken trampoline after proper planning is during the digging stage. The assembly of trampolines parts is not that tricky. One needs to play and dig a hole, place the trampoline in it and simply put in more dirt so it is firmly placed on the ground. It is important to ensure that the hole is large enough such that there is a gap between the trampoline and retaining wall. The gap would facilitate ventilation thereby preventing the jumping mat from becoming hard. One doesn’t need to hit the gym or even enroll in dance classes charging exorbitant amounts of money to be in shape. An investment on in-ground trampolines is a sure shot way to keep all age groups on the move and at the same time maintain the aesthetic appeal of the backyard garden in one’s home. However, choosing one may be painstaking at times considering the wide varieties available on online shopping portals. Below-mentioned is some of the best in-ground trampolines that will be worth looking at. Encompassing diameters of 12 to 15 feet, these pre-engineered trampolines are created in America. Such trampoline systems are ideal for both children as well as adults. Critical issues like corrosion, air flow, and water build up have been taken into consideration while developing such in-ground trampolines. The heavy-duty steel parts are galvanized thus protecting it from ‘ravages of corrosion’ and making it even more durable. The unique bungee cord can be easily installed and uninstalled depending upon the requirements. Being offered in three color variants namely blue, green and grey it is one of the best in-ground trampolines on the market. The next product on the alternative list is the New Generation III 15’ In-Ground Trampoline. An ideal in-ground trampoline, it has been designed using galvanized powder coated steel as well as steel hardware which would act as a protector against corrosion. A total of 120 springs sizing up to 8.5 inches have also been incorporated into the New Generation III 15’ In-Ground Trampoline. The jumping mat has been designed using heavy duty polypropylene which would prevent sun’s UV rays from damaging it thereby ensure its durability. The spring pad is being offered in 2 color variants namely blue and green. If one is looking forward to investing in trampolines offered with a safety net, then one can invest in Skywalker Trampolines 15′ Round W/ Enclosure & Spring Pad. Having a diameter of 15 feet, it has reinforced T-sockets which would ensure stability in the enclosure with the trampoline frame. The Skywalker Trampolines 15′ Round W/ Enclosure & Spring Pad has 6 W shaped legs which have been designed using heavy gauge galvanized steel. The galvanized parts would prevent incidences of rusting and corrosion. The whole trampoline would weigh 126 pounds after proper assembly. The mentioned product is on the ‘value for money’ list and is one of the most popular choices among customers. 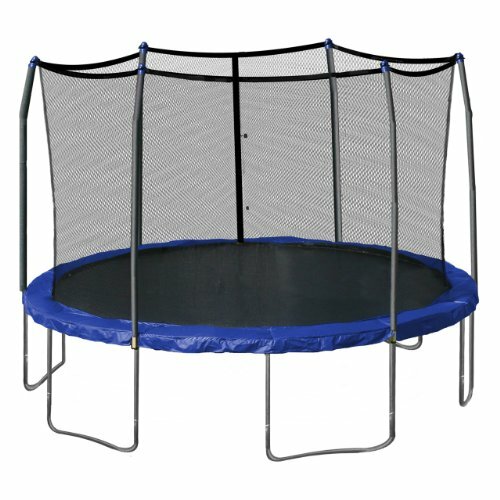 A lot of such trampolines are available on the most popular portals online. You can choose the size and shape according to the space you have for the trampoline installation. Lastly, an investment in trampolines is very beneficial in the long run. It not only keeps health maladies away but is also a source of enjoyment for the whole family. 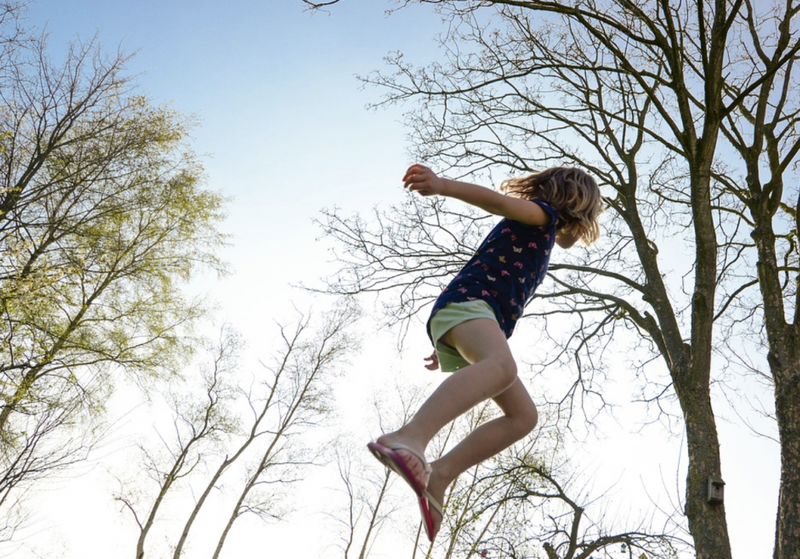 Whether choose in-ground trampolines or the traditional ones, either of the two would help families get their daily dose of physical exercise. Trampolines can add so much fun to your workout time. Get the right trampoline and get it installed by the right team. Trampolines can be beneficial or harmful and it entirely depends on how the user uses the product and handles the same. Moreover, make sure to read the reviews and ratings before you invest in any product. This is just to ensure you land the right brand. See more pros and cons of in-ground vs above ground trampolines right here.